With cold weather around the corner, I'm thinking about packing up the peep toes and looking for a new go-to shoe this season. 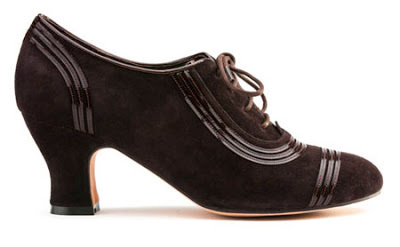 Here are some beautiful shoes from American Duchess, all gorgeous and warm enough to wear after the leaves change. One of my favorites, a reproduction Victorian button boot with high grade calfskin uppers and custom made french heel. 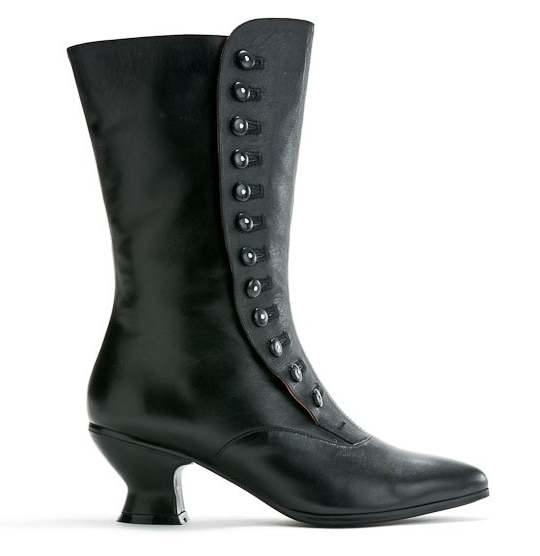 These boots come in two calf sizes for perfect fit with a period correct elastic gusset for stretch through the calf. 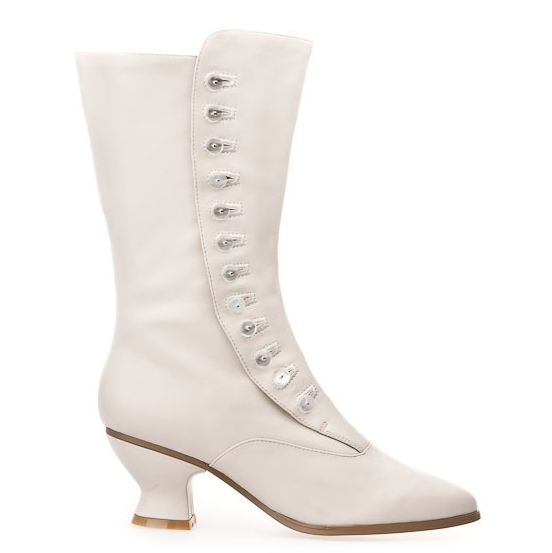 Although this boot is designed based on historical examples from 1790 to 1815, its a great boot to wear with your vintage and modern wardrobe. 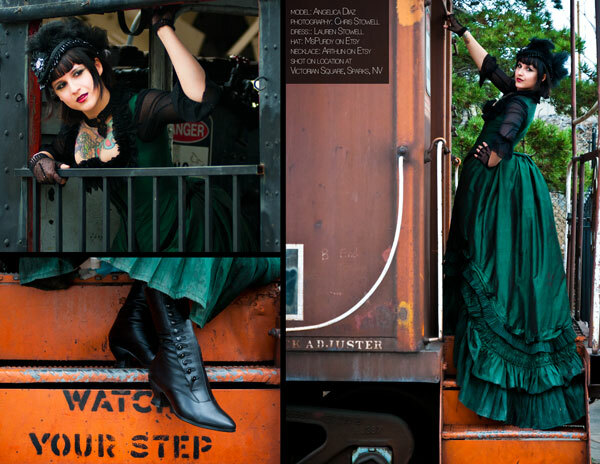 pair it with thick colorful socks and a dress (often seen on Solanah of Vixen Vintage) or wear them with jeans. 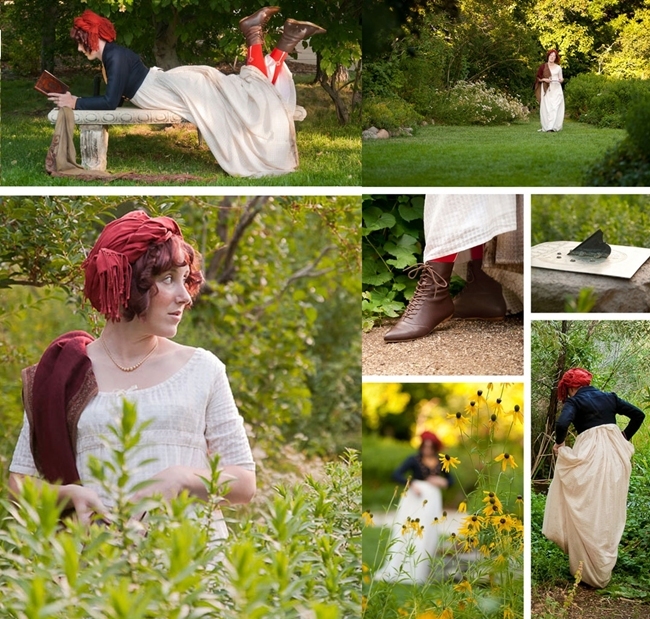 This boot is available in brown or dyeable/paintable ivory. I'd love to see them in a bold red, mustard or this year's favorite- emerald green! The latest from American Duchess, now available for pre-order at a discounted rate are the amazing 1930s "Claremont" Oxfords. 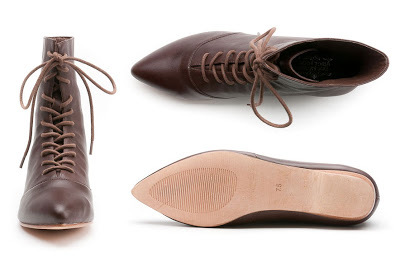 Every vintage girl needs a perfect oxford heel. 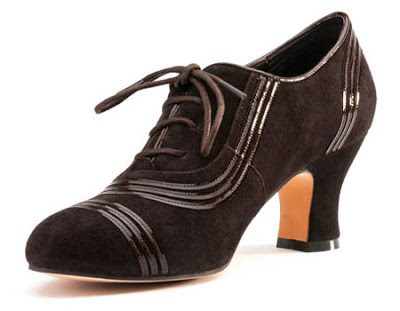 This shoe was designed from an original 1930s lace up shoe with custom made heel and patent details on the upper. Enter the giveaway on American Duchess to win this gorgeous new arrival. Pre-order is open now through the 22nd. My fingers have been twitching to hit that magical Claremont preorder button all week. I've got some overtime this month so I might do it. Huge thank you for the heads up on the giveaway too! Those Claremont shoes are perfection! 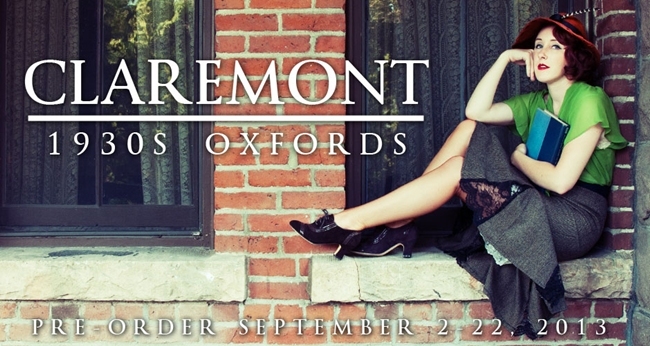 I already pre ordered the claremont. I can't wait. Their shoes are gorgeous! Definitely worth saving up for.